Hello? Are you still with me? I was doing so good with consistent blogging and then I was allowed in my classroom to unpack and set up. That has taken over my life! Oh well, I am making progress and I get my little cuties on Tuesday. I can’t wait. 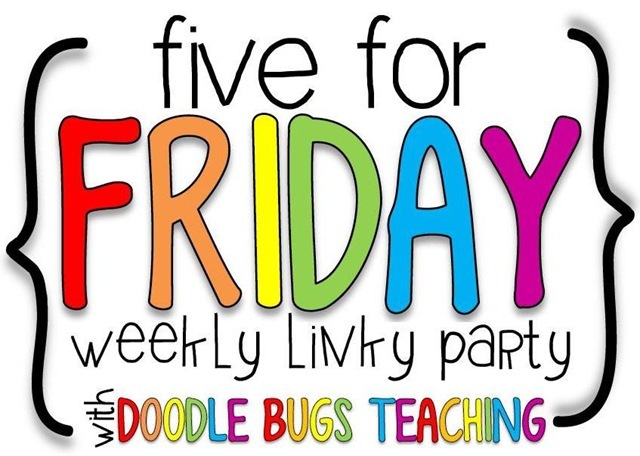 I am linking up with Doodle Bugs Teaching for her Five For Friday, but mine is Five For Fraturday for the last few weeks. 1. First off my classroom when I first got to step inside. The classrooms are gorgeous. And I you can see from the first picture they are green. Do you see the “lights” on in the bottom two pictures? They are actually skylights that open and close, so most of the day I used those without turning the lights on (I do have lights, and then dim). 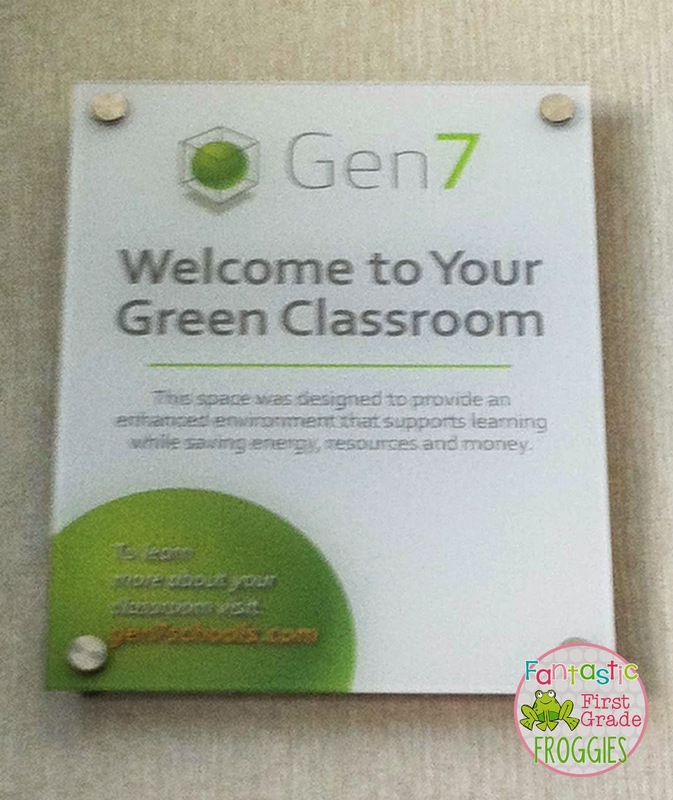 These classrooms also have sensors that sense when there is someone in the classroom. This enables the AC or heat to turn off when no one is in there and to turn on when someone returns. Technology these days. 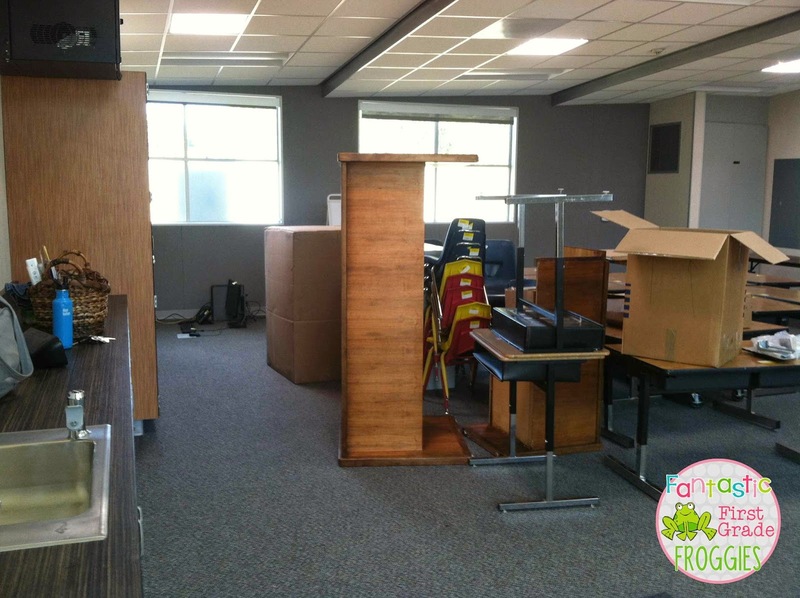 I have been frantically unpacking boxes and trying to find a home for all of my stuff. It’s coming along, but I just need to get over it and face the fact that all of my walls won’t be done and that is okay. Right? I will do a classroom reveal later. 3. We have a University in our town with a great farm for the Ag majors. One of the fun things to do each year is pick peaches. 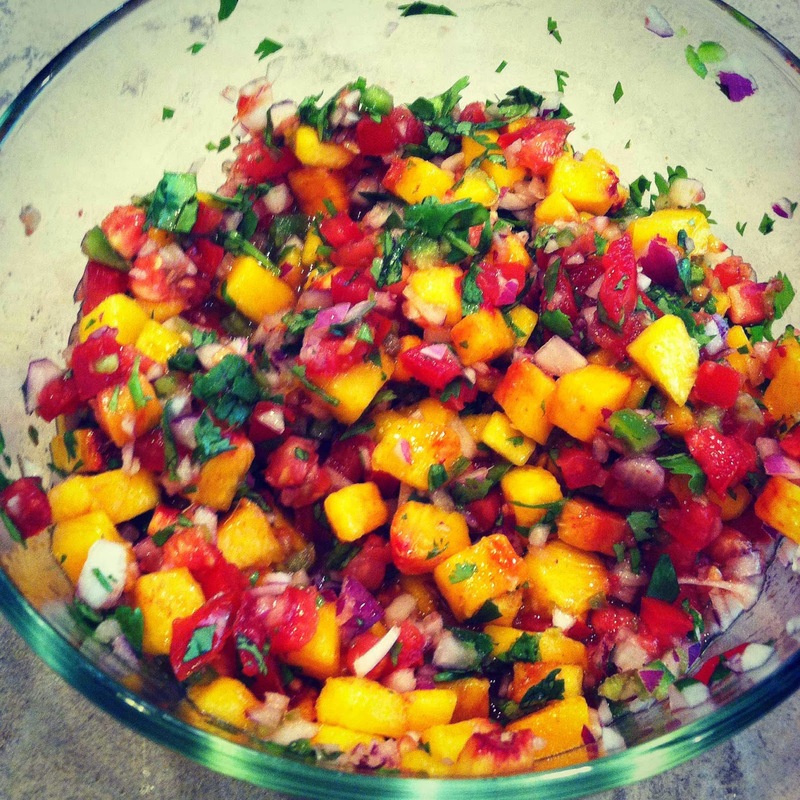 We picked a lot of peaches and lived on peach salsa and peach crisp for about two weeks. It was great! 4. The whole month waiting to get into my classroom I had a hot mess of piles around my house. My poor husband was so patient. 5. And last, let’s talk Starbucks. Maybe I am late to the game, but did you know their pumpkin spice is out. I had my first pumpkin spice chai for the season yesterday. It was heaven. Sorry, I was savoring my drink so much I didn’t take a picture. 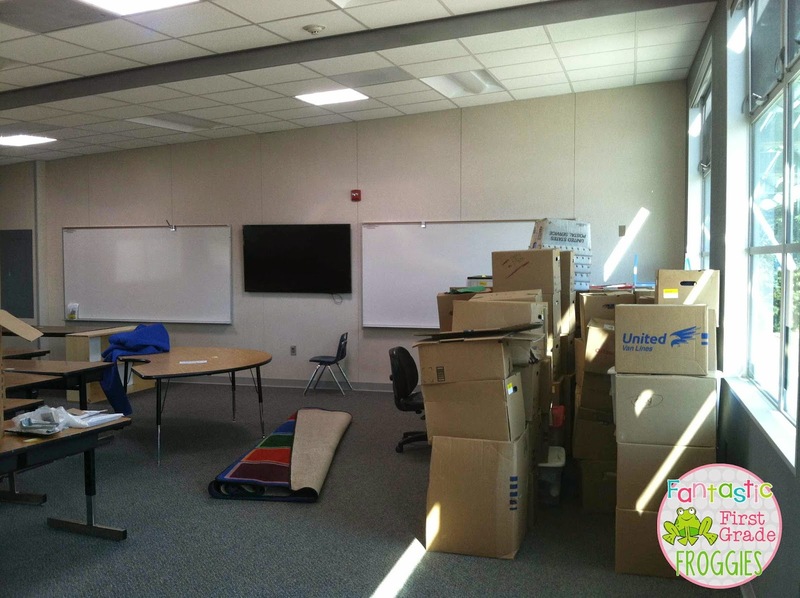 I love your new classroom and all of the natural light. Have fun decorating! Blank slates are exciting.